3" PVC Clean-Out Tee W/Plug. 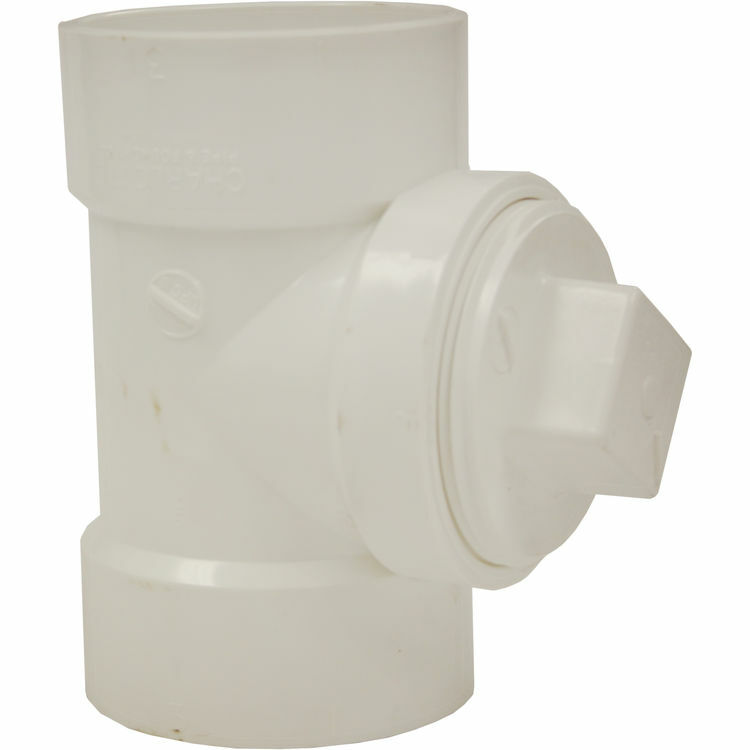 This 3" PVC Clean-Out Tee W/Plug is a genuine part manufactured by LASCO Fittings. This PVC (Polyvinyl Chloride) Tee features two 3" slip-fit connections, along with a threaded plug for testing and clean out purposes. This Tee is designed for DWV (Drain, Waste, and Vent) applications only.